Mike was born and raised on the banks of one of North America’s premier river systems. The mighty Columbia river system offered a variety of fisheries, which fueled Mike’s desire to explore waterways and the quarry within. Mike’s exploration up the Columbia river system lead him to the University of Idaho. While guiding steelhead and salmon trips on the Salmon and Snake he managed to attain a degree. Once finished with college, the pull to the Last frontier was to strong. Mike arrived in the late ninety’s and spent time guiding and exploring many south-central rivers but the Kenai would become home. Mike and his wife Jennifer reside in the headwaters of the Kenai, in the small community of Cooper Landing. Born and raised in Anchorage, it would be an understatement to call the Kenai Mike’s second home. 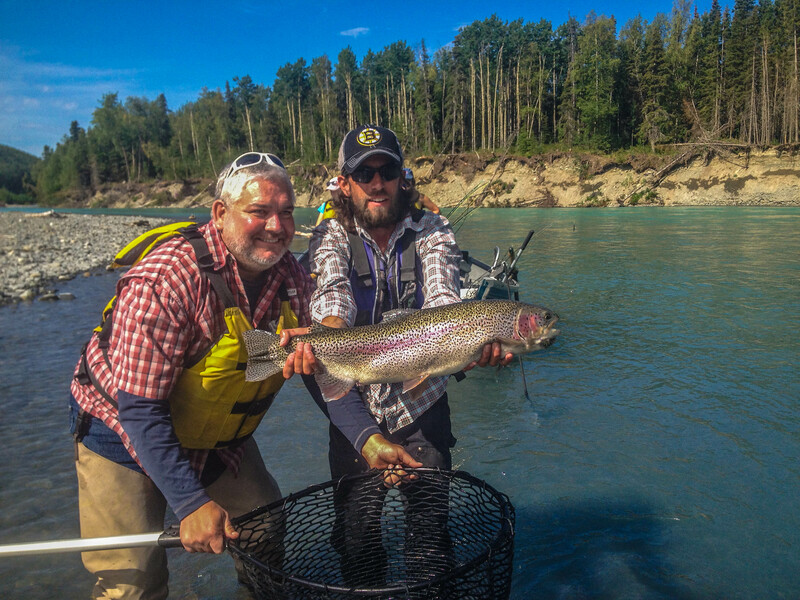 Lucky enough to have a family cabin on the Kenai he grew up exploring the river and learning to fish from his dad. When asked at a young age of ten if he wanted to continue playing soccer or baseball during the summers by his father his answer was simple. “Dad I want to fish!” Since then he hasn’t looked back, spending almost every minute of every summer fishing the Kenai. Now you could say he is lucky enough to turn his favorite hobby into his favorite job. Jen was born and raised in Alaska and has long had a passion and respect for the outdoors. Many of her favorite childhood memories come from family camping trips where her father patiently taught her how to fish and row a boat. She went to college in Colorado and explored much of the state but ultimately realized her heart lay back home in Alaska. Life’s events brought her down to Cooper Landing where she guided on the river and eventually met her husband Mike. They now are full time residents where they built their house and enjoy keeping up with their hobby farm. When not guiding they can be found running various rivers throughout the state and down into the “lower 48”. 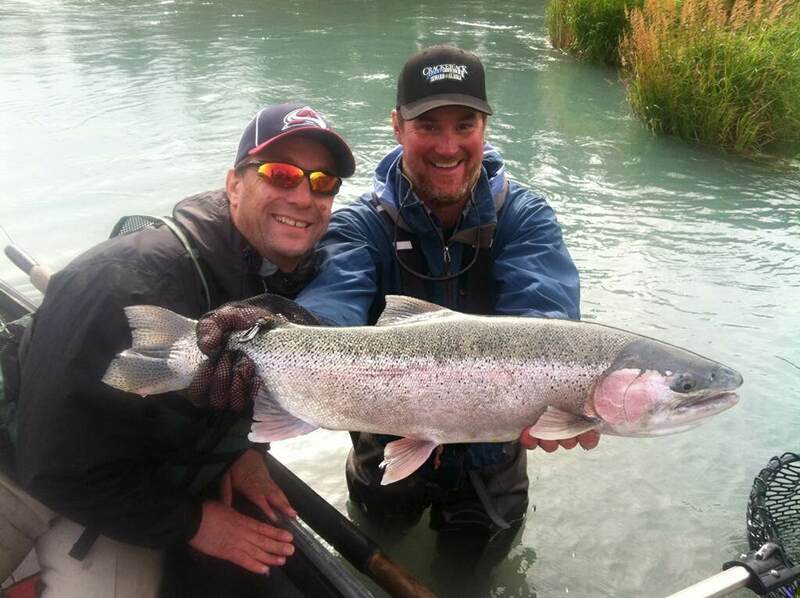 Our newest up and coming fishing guide, this guy is being groomed to be the best guide on the Kenai! When he isn’t on a boat or chasing border collies and farm animals, he’s running shuttles with his mom, being loud in the background when she’s on the phone with clients and otherwise just keeping everyone on their toes!